What are the must have sneakers for men in 2019? We looked at the latest collections and have picked out the top 2019 sneaker trends. From chunky sneakers to vintage-inspired tennis shoes for men, these are the sneaker trends that will be the most popular this season. Sometimes, you can have too much of a good thing and it just makes sense to go back to the basics: the classicly designed, sneaker. 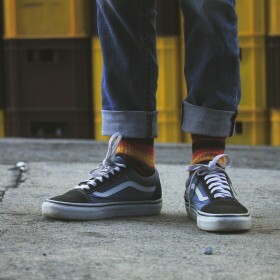 Obviously, we love to immerse ourselves in the trends but what about owning a solid pair of sneakers? Last year I thought it might have been time to admit that adidas sneakers for men had their heyday however I believe I stand corrected. You might have thought you'd seen the last of the Stan Smiths but they are back once again as minimalism emerges are a must-have in sneakers. 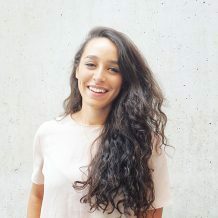 Keep it classic and cool in your all-white sneakers, as the simple styles are a big trend for 2019.
adidas have managed to stay on the scene throughout the last 12 months through continuingly developing their styles and it has paid off - athletic looking sneakers with added tech continue to be a big trend and so if you <3 adidas, check out the latest Swift men's sneakers. And just like a pair of casual tennis shoes, you can wear a pair of Swift’s in a casual outfit by wearing a pair of dark denim jeans with a blazer. By far one of the most popular of the 2018 sneaker trends is chunky sneakers - and sure enough, they're back once again! Chunky sneakers - also called dad sneakers - are tennis shoes with a sturdy sole and coarse appearance. 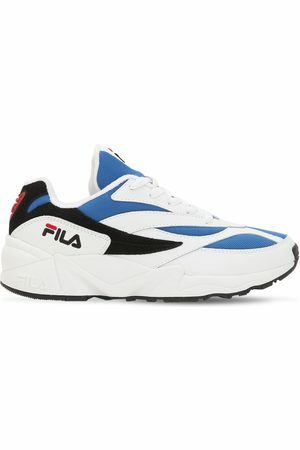 These are the sneakers you first saw in the 90s with Fila and Puma. 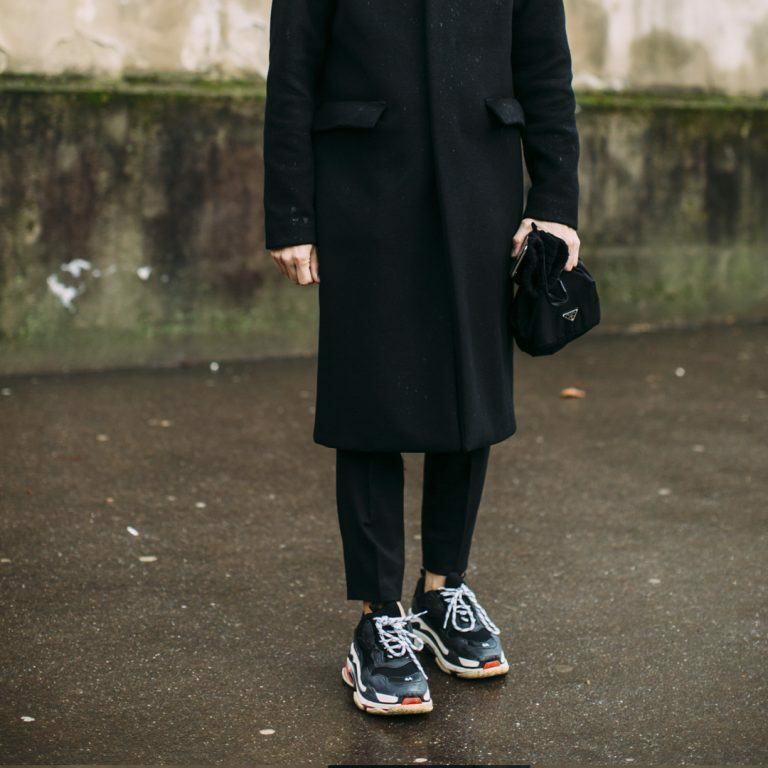 Now this type of men’s sneaker has been completely revamped for 2018 and you can see the style all over the internet but in particular with Vetements, Balenciaga, Nike and Puma. 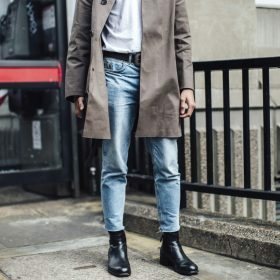 Style chunky sneakers with a pair of dark wash/gray loose fitting jeans (branded, obviously) and roll up the hems before you snap a shot for your Insta! 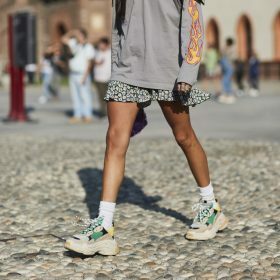 If you haven't found yourself caught up in the chunky/ugly sneaker trend then maybe platform sneakers are more your style? Another trend I really like, you can either embrace the trend through a casual chunky gum sole or opt for a more decorative choice of platform, such as the Converse with line detailing. 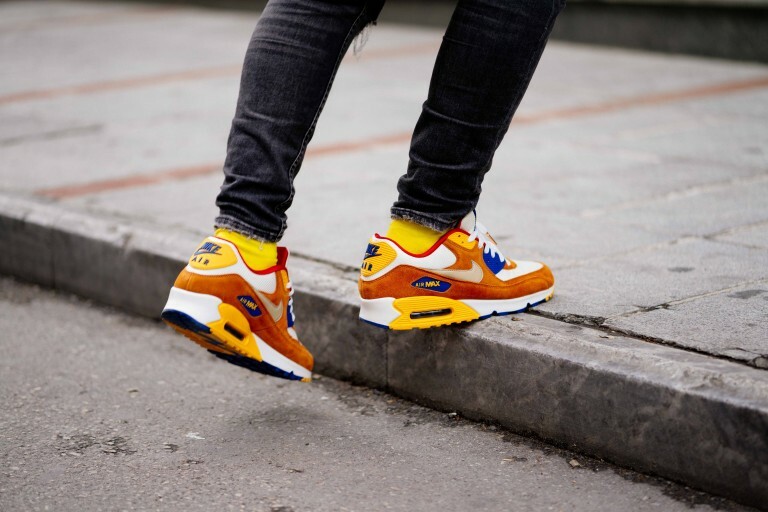 White is alright but if you want to make an impression this summer why not embrace the colorful pattern trends hitting the 2019 sneaker trends. Tie-dye is making a comeback and if that isn't impactful enough you could always explore how to incorporate the neon trend into your outfit through your sneakers. Don’t feel as if you’re missing out on the #trending sock boot trends, lads. 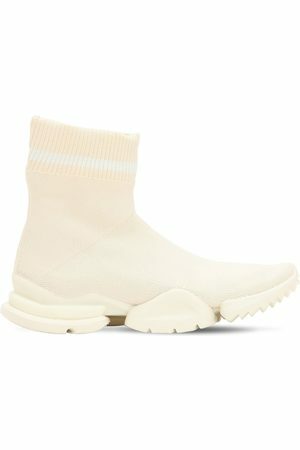 You’ve got your own trend: “sock sneakers.” As the name suggests this is a sock and a sneaker all in one. Sneaker brands for men which have capitalised on the trend are the adidas Tubular and Fendi’s range of sneakers for Puma. Now, you can’t love all of the 2018 sneaker trends. 2018 has thrown some curveballs when it comes to fashion and we’re bringing back some questionable trends. Alongside the fannypack, velcro is making it’s way into high fashion and so now you have some very practical and fashionable sneakers for men. This year, I don’t think vintage trends are going to go away. If you’re inspired by the past then check out the 70’s style platform tennis shoes for men or 80’s colors and checkerboard prints. You can’t go wrong with a pair of vintage-inspired high-tops from Converse or Vans. What Shoes Should a Man Own at 30?